This cute little baby was navigating around the leaves in the natural area of the garden. It is barely 2 inches long and its brown coloring blends well to keep it safe. I was able to coax it onto my glove and take a quick shot with my phone. 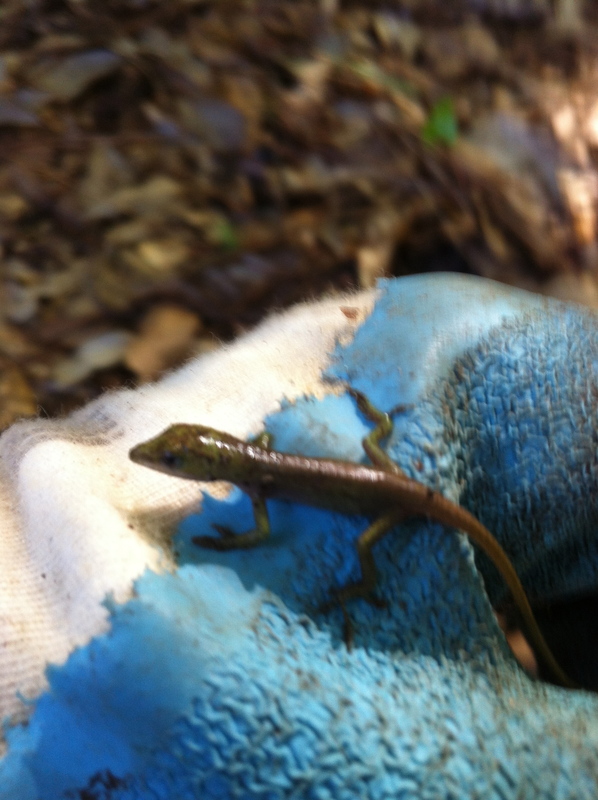 I am guessing it is a Skink as they are usually found slithering among the leaves. I see from your last post that you enjoy all the critters that visit your garden. Great photos!